Christmas is my favourite time of the year. The 1st of December is the day to prepare the house. A good clean, room is made for all my decorations and the tree is put up. A tiny tree, artificial, but still a Christmas tree. And glass decorations. And although I’ve been doing some serious crochet I have never managed to make any Christmas decorations for myself. I’ve made some snowmen for a friend last year in return for a facebook game thing, but that was it. This year, even with all the uncertainties regarding Christmas time, I’m prepared. 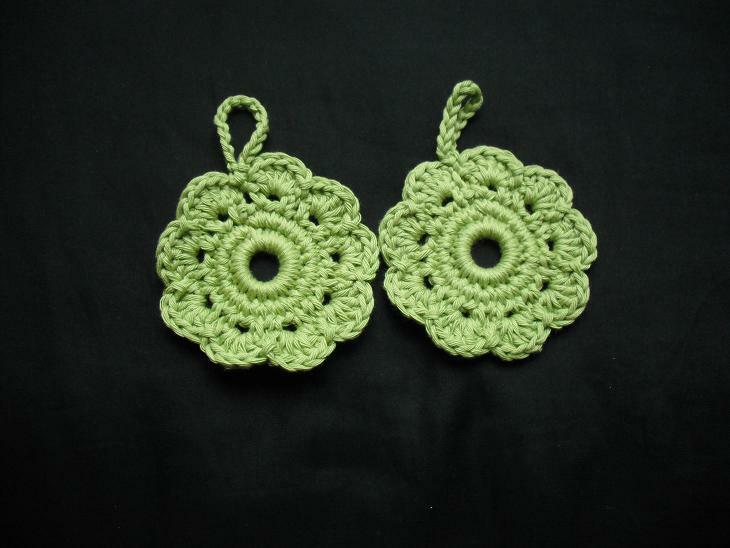 I’ve been making crochet wreaths, from this pattern. I have smaller rings, so I adapted the pattern. They are cute, fast, easy and large enough for some beads, ribbons and even some jingle bells, which I’ve found in a little shop in Luton, so there is where I’m going to source my materials, now and contribute to local, small business. They look like huge earrings! I know, they are ‘naked’. They will receive some bling soon but they are already looking Christmasy!